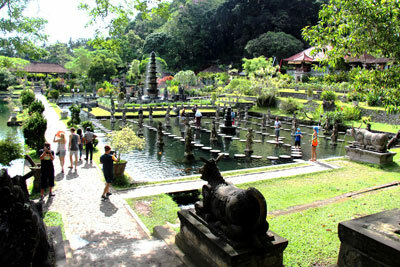 A fascinating tour to the eastern part of Bali. Depart from the hotel for Klungkung city to visit the old Hall of Justice called Kertha Gosa. It was effectively the supreme court of the Klungkung kingdom where disputes and cases that could not be settled at village level were brought. This open sided pavilion is a superb example of Klungkung architecture, and its ceiling is covered with fine paintings in the Klungkung style. The paintings depicting episodes and scenes of the horror awaiting those who do evil while on earth. Nearby the building is called Bale Kambang "Floating Pavilion". Sidemen Road A magnificent view of rice terrace. 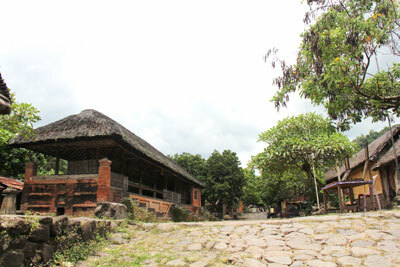 It has a spectacular location and is a centre for culture and arts, particularly endek (ikat) and songket. Tenganan village an original Balinese Aga village and home to a distinctive ancient culture where strict more and cultural taboos are still rigidly enforced. The society life of Tenganan people different from the other village exists in Bali Island. Goa Lawah is a shrine cave where thousands of bats have a nest inside of this cave. 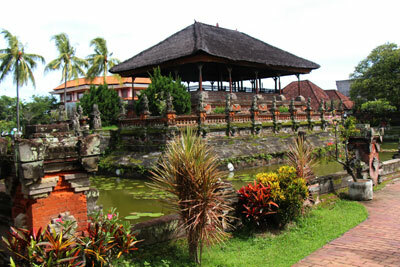 There is big temple used by the Balinese Hindu as a place to worship their gods. The duration of the Tour is about 8 - 9 hours.